We know for sure and for certain that If you make a gift list and stick to it, you will save money and time. And who doesn't want to do both of those things? We all tend to go overboard at Christmas when we do not have a plan, and we impulse buy or buy because we see a "deal." We also know for sure and for certain that everyone has someone on her list that has everything or is just not fun to buy for. There are times for silly gifts, but not this year because we have time to be very intentional in our choosing. Successful gift choices usually fall into one of the following categories: practical, consumable, home-made, educational, or personal. You don't think we'd leave you with just that to get your creative juices flowing, do you? We are either sharing gifts we've given in the past or are thinking about giving this year. Hopefully, nobody on our lists will be terribly disappointed if they end up with something we share here. If we've included a photo, it is clickable to the site where you can buy the item or find a tutorial. Books are always a good choice for kids and adults. We love to browse on Amazon, but there is nothing like visiting a real bookstore and seeing what catches your eye. Almost everyone is interested in something, and after the hoopla of Christmas morning, it is a great time to sit back with a great book and a cup of hot chocolate. We are huge fans of family game time, and at least a few hours of every Christmas are spent around the table playing either a new game or an old stand-by. We think that home-made gifts--especially for friends--may be the most appreciated because a part of your heart is given with them. A few years ago, I (Denise) gave everyone funky scarves that I crocheted. Three years later, the recipients are still being asked where they got them. Last year, I got into soap making, so everyone received bars of soap. This year, scarves and soap will be back on the list. And what about a custom made, monogrammed pillowcase for the kiddos? 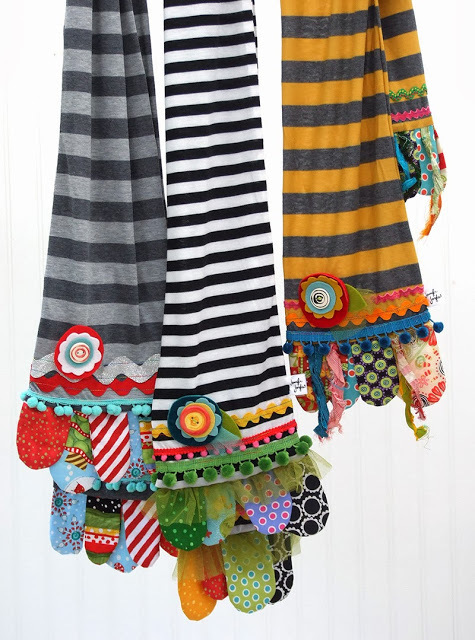 I (Denise) plan on making these, but they can be ordered from Etsy if you don't sew. It's usually hardest to buy for teenagers. Tessa recently bought both of the items below, so we know they are popular with the young people crowd. The "in" backpack these days is made by Herschel. They are not cheap, but so nice. And the Kavu rope bag is quite nice, too. My (Kelly) favorite go-to practical gift is a monogrammed key fob from an Etsy shop I love. It's a great teen gift. Another favorite is Chatbooks. These are small photo albums that you subscribe to based on a hashtag on your Instagram feed. Whenever you hit 60 photos on that hashtag, a book is automatically sent to you for $6. I gave my sister a subscription for her graduation. She is documenting her first year of college with a custom hashtag. For the kids on your list I always go with the art supplies! The following item is our all time favorite pencil, and you will thank us forever and ever. For real. Every kid should have these to create their masterpieces. They come in short and tall, so check them out, and don't forget to order the recommended sharpener, too. My mom uses these to highlight in her Bible and books, and she even colored her Get Your Christmas On! pages with them. And one more thing: They last forever! Of course, we could share more ideas, but now it is your turn to share your favorites with us.